The cabinet published the 2015 social and economic rating of the regions. 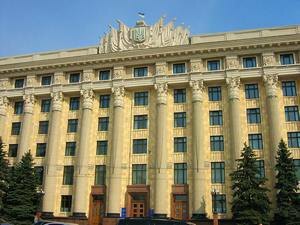 The Cabinet of Ministers of Ukraine has published the 2015 rating of social and economic development of the regions, topped by Kharkiv Region. The rating does not include Kyiv. Kharkiv regional state administration head Ihor Raynin said it was the achievement of all residents, local business and public activists of the region. "Certainly, this is also an achievement of our international partners whose all-encompassing help we feel all the way," the press service of the Kharkiv regional state administration quoted him as saying. Kharkiv Region is in the lead in several sectors at once, including energy efficiency and saving technologies, replenishment of local budgets, business development and environmental protection. The Cabinet of Ministers' monitoring puts Kharkiv Region in the lead in terms of education affordability and quality. It even beat the capital city of Kyiv at this. "Our strategy is about pulling the incomes of local budgets and increasing targeted investments in the modernization of the infrastructure and manufacturing sector. First of all, in energy efficiency. This is a classic international model of overcoming the economic crisis and creating the basis for a new growth," he said. Still, there are problems in the region too. Some of them concern the condition of local roads and the dire economic state of industrial giants like the Kharkiv aviation plant and the Elektrotyazhmash electronics maker.